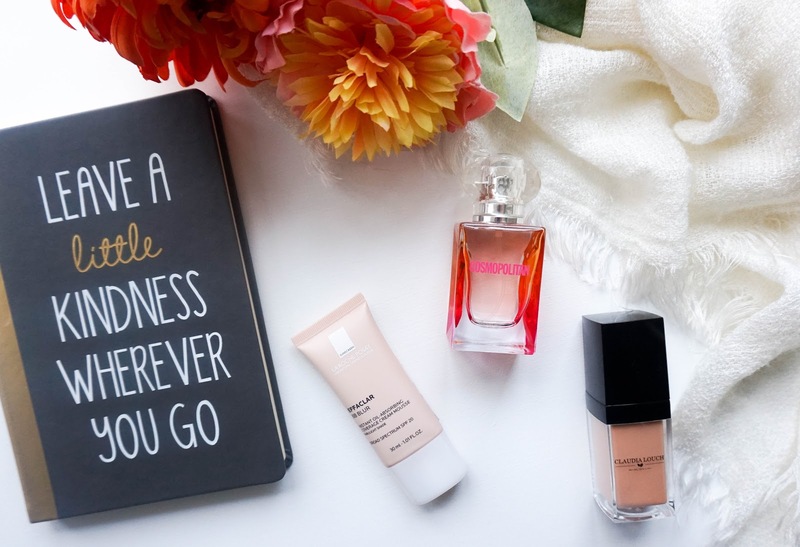 With a new year we are immediately followed by a ton of new products to try, especially in the beauty industry where new releases are constantly flowing. Today I've got three new products that I had the opportunity to discover just a little bit before the new year and I was even able to bring away with me so I could give them a good testing out before sharing my final thoughts. I've been familiar with all three brands in the past in some form or another, Cosmopolitan, La Roche Posay & Claudia Louch. Having had pleasant enough experiences with each brand I was definitely looking forward to trying out each of their new releases. 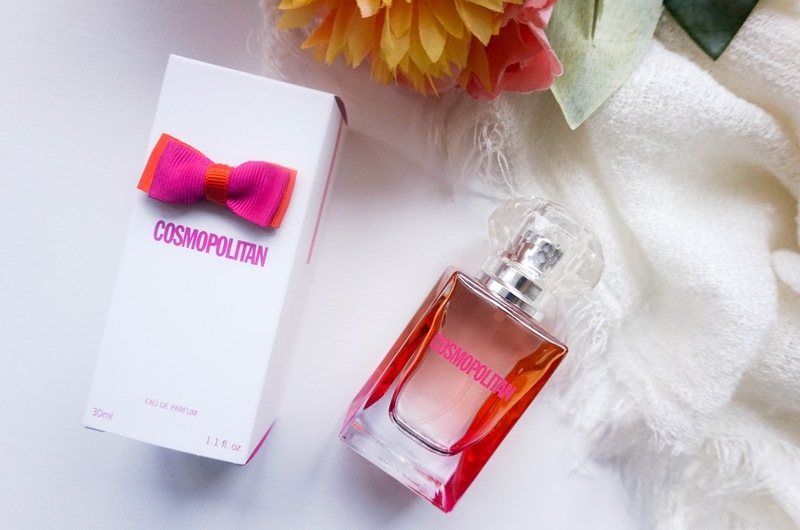 First up I've got Cosmopolitan's first ever fragrance*, I always love reading the magazine whenever I get some free time to myself so I was really looking forward to trying out this perfume. First of all I just love the packaging, even the outer box is cute with a bright bow and the bottle itself definitely stands out amongst my current collection. It's funky, fun and girly all at the same time. Of course the most important thing about a fragrance though is the scent and this particular one is right up my street.... very tropical with a sweet, fruity touch. Once the sweet fruity notes settle, you are met with a hint of vanilla which gives the overall scent a warm spicy finishing note. My only negative point about the fragrance is that it doesn't last long, within 3/4 hours I could barely notice any sort of scent left on my body. So re-application is definitely necessary here if you want the scent to stick around all day. La Roche Posay is a popular skincare brand amongst the UK, especially well known for their anti-blemish range which a lot of people swear by. 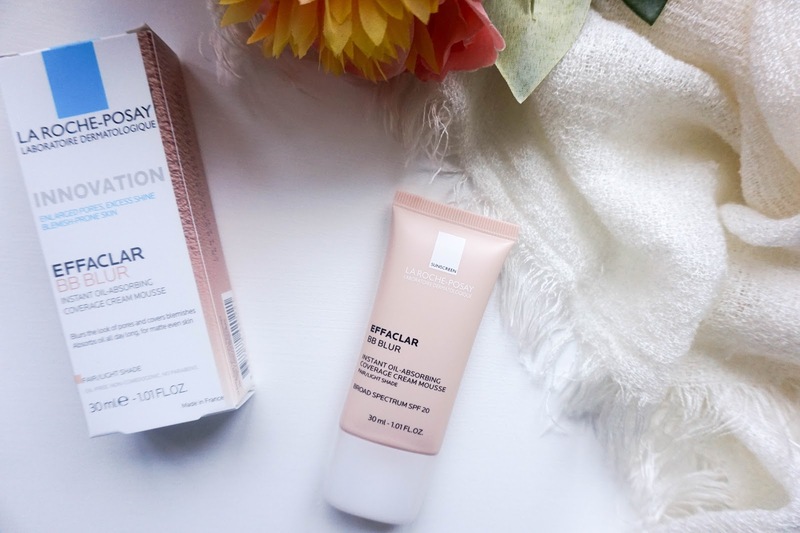 I've also personally tried out the brand's Effaclar Duo + whenever I go through spotty phases and it really does work like a treat in helping me achieve a clear complexion. When I was first contacted about the Effaclar BB Blur*, which is the brand's latest release, I knew I would have no problems getting on well with the product. This is especially aimed towards oily skin, which is not something I deal with exactly. My tzone area does get oily throughout the day but overall I am definitely more concerned about dehydration problems. However I have had no issues using this and I didn't find it drying at all. I really like the creamy, almost mousse like texture as it just blends into the skin effortlessly, along with the shade adapting pigments which work on colour matching my skin upon application. The matte and velvety finish isn't exactly my favourite, so I do layer up an illuminating primer underneath and make sure to use a setting spray over for a more dewy look overall. What I love most about this product though is the blurring technology because I do suffer with larger pores in my tzone area and this little beauty helps in disgusting them for the day. I don't really had a negative thing to say about this natural base... I think if you're looking for something with medium coverage & you have oily/blemish prone skin, then you will love this option for your day to day makeup looks. 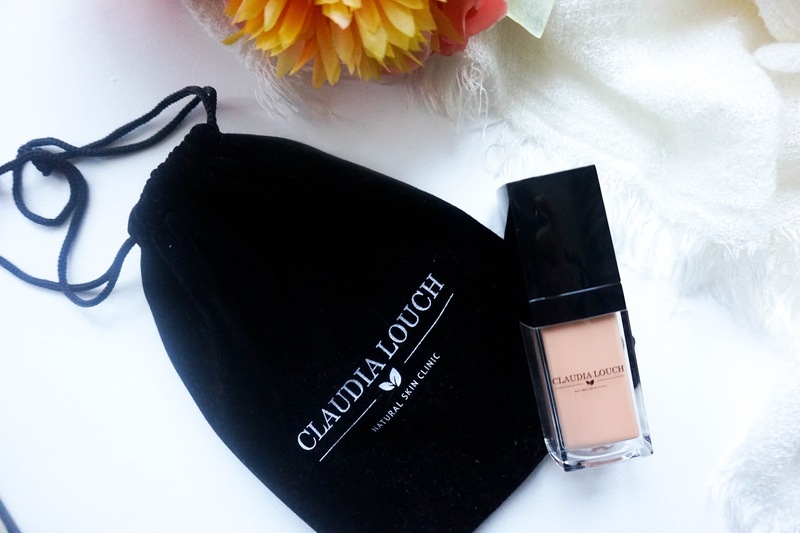 Last up I've got another base option in the form of Claudia Louch Natural Skin Clinic Flawless Finish Liquid Face Makeup* (try saying that all in the one breath haha it's a super long name I know). This foundation feels very lightweight on the skin & it provides quite a light coverage in my opinion, this is perfectly fine with me but it's worth knowing if you like full coverage bases. It contains Vitamin E & wheat germ as its main ingredients, so it's aimed at improving skin elasticity & blemishes. 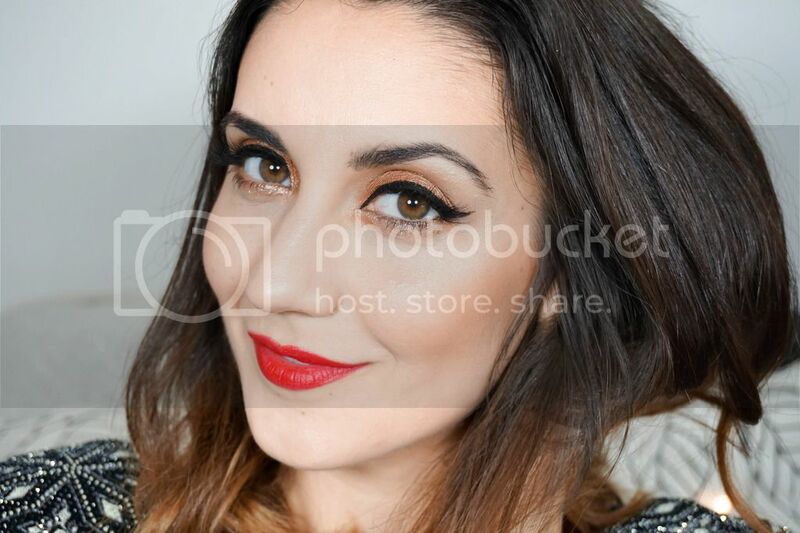 I found the foundation blended into my skin really well & it felt hydrating too, with a dewy finish overall. I'm also quite impressed that the foundation is free from nasties such as fragrances & harsh chemicals, not to mention that it's hypoallergenic & non-comedogenic (so it won't block your pores). My only concern was the fact that the shade I was sent N7, is just too warm for my complexion at the moment, so I had to wear it mixed in with a lighter foundation to achieve a better colour match. I'm hoping that in the summer when I have more of a sun kissed look I'll be able to wear it on its own.